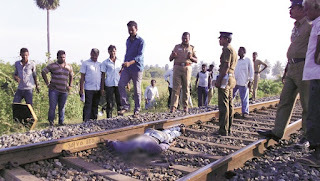 NAMAKKAL: In what appears to be a case of honour killing, a 21-year-old Dalit youth, who had just completed an undergraduate course in engineering, was found dead with his head severed on the railway track at Anangur in Pallipalayam here on Wednesday. 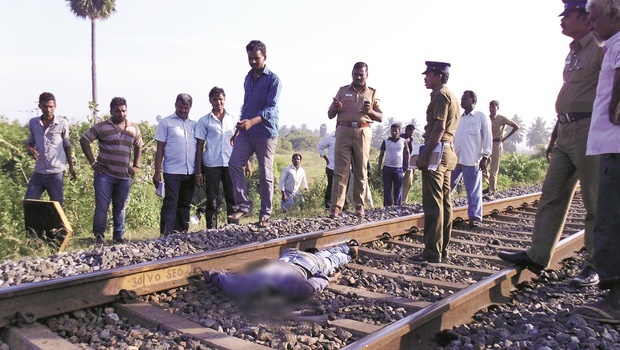 The body of V Gokulraj, a native of Omalur in Salem district was found by Erode railway police Sub-Inspector Appusamy. Although the cause of death is not clear, honour killing is suspected as Gokulraj was in love with his classmate, a caste-Hindu girl, hailing from a village near Paramathi. Sources said the two had visited Sri Arthanareeswarar Temple in Tiruchengode on Tuesday. While there, a gang approached them and claiming to be policemen, took Gokulraj in a car for an ‘enquiry’. Both their cell phones were confiscated. The worried girl went back home and remained distressed for a whole day before approaching the Tiruchengode Town police on Wednesday morning. She suspected foul play when policemen at the station told her they did not bring anyone for enquiry. When Gokulraj did not return home, his mother Chitra lodged a complaint at Omalur police station. Later, she came to know from her son’s friend Karthickraja that he had gone to Tiruchengode with the girl. Then she went to the Tiruchengode town police station and lodged another missing complaint. Meanwhile, the message of a body lying on the railway track reached the police. Gokulraj’s identity was established with an identity card found on the body and also his cell phone. Top officers including SP Senthilkumar visited the spot. The scene shows signs of the man run over by a train. Trails of the body dragged by train could be seen.